Have you ever wondered if supplements can truly help accelerate your fitness goals? If your journey is one of fat loss, you must realize that this life changing commitment will require more then hitting the gym 2-3 times a week. A disciplined attitude in regards to better eating habits is one of the major components to making your journey a successful one. So if eating right is one of the major keys for fat loss, are supplements really needed? Well, the answer is yes and no. Supplements are best utilized when we know our bodies are not getting enough of something in our daily lives and are in need of that extra “supplementation”. But with nearly hundreds if not thousands of different pills, “magic potions” and “quick fix” fad diet solutions out in the market, how do we know which supplements to pick, if any, for fat loss? Most of us are very lost when it comes to understanding the world of supplementation and how could you really blame anyone! There’s a new supplement that hits the market almost every new month not to mention gimmicky diets and endless silly infomercial products. Please keep in mind that absolutely NO supplements in the world will ever replace whole natural foods. However, in today’s’ fast paced society, most of us find ourselves working longer hours just trying to keep up with what’s around us leaving little time for us to eat the better foods that contain the right and proper nutrients our bodies need on a daily basis. Once again, if your journey is to lose fat and build lean muscles that will be here to stay for once and for all, pay close attention to the only 4 supplements you will ever really need. First and foremost, once you have decided to embark on your new fitness journey, keep your eating habits as whole and natural as possible. Secondly, if you think you are requiring additional supplementation to fine tune your fitness goals and overall health, make sure to ALWAYS consult your family physician or doctor FIRST. It’s been researched that this wonderful product is not only great for fat loss but also improves overall moods and motivation. Something that’s really needed when deciding to change your overall health for the better. Research also recommends to choose the liquid gels instead of the harder tablet. 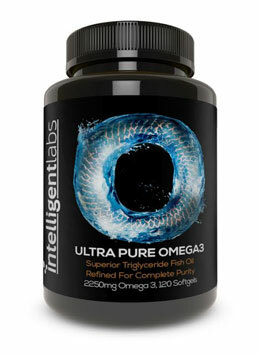 Check out Intelligent Labs Omega 3 for a high quality fish oil supplement. Most of the diets out there today lack small deficiencies of vitamins and minerals. It is very important to supplement these deficiencies as they more than likely slow your metabolism impairing your ability to loose fat. Also, the liquid gel pills are recommended instead of the tablet. While protein powder is not entirely necessary if you are consuming enough protein daily from the foods you consume (such as lean cuts (meats), fish, poultry and even some vegetarian sources), most of us run out of hours in our days, and we find ourselves eating too few high quality proteins. This is why adding more quality protein, as in a snack shake, is very crucial in during your fitness journey. Similar to the protein recommendation above, if you feel you are consuming enough greens in your diet it may not be entirely necessary. However few people are consuming enough veggies or greens in their daily routines. If you are not consuming enough veggies, you may be missing out in many of the micro nutrients that they contain many in which they help accelerate the fat loss process directly or indirectly. The very last ingredient to your success with the recommended supplements above… water. Good lean muscle is made up of protein and water so make sure to drink plenty of it especially once you begin your fitness journey. Think of water as you body’s oil or lubricant. Without adequate amounts of water in your system, the body is unable to flush out all the unwanted toxins and waste your body wants and needs to get rid of. Keep in mind that by keeping our brains properly hydrated, it keeps our thought patterns nice and sharp allowing us to keep a laser, pinpoint accuracy focus on our fitness goal and journey. While many individuals (also known as Nay-Sayers) will try to talk you out of taking care of yourself and your health because it takes way too much time, commitment, and energy, don’t let them get to you. No matter what you set yourself out to accomplish, your attitude will determine your altitude. Remember, take a CHANCE to COMMIT and you will CHANGE. Author's Website Juan Medrano is a certified personal trainer under the International Sports and Sciences Association and owner of Movimento Fitness located in St. Albert, Alberta-Canada. 697 Protein Powder Flavors Tested: The Results?